Gospel for Asia-supported radio programs are heard in more than 100 of Asia's most common languages. These programs are written and recorded by national missionaries who are familiar with the culture and understand the struggles of the people. 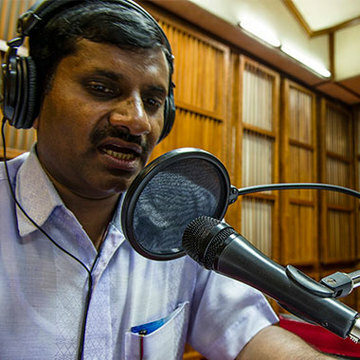 You can broadcast the story of Christ throughout India and other nearby countries through GFA Radio. Thousands have given their lives to the Lord through these programs in their own language. People who are exposed to the Gospel through radio tend to be more receptive to national missionaries when they visit. You can provide one 15-minute program for $45 or one hour of programming for $180. Your donation will send a message of hope through the airwaves.